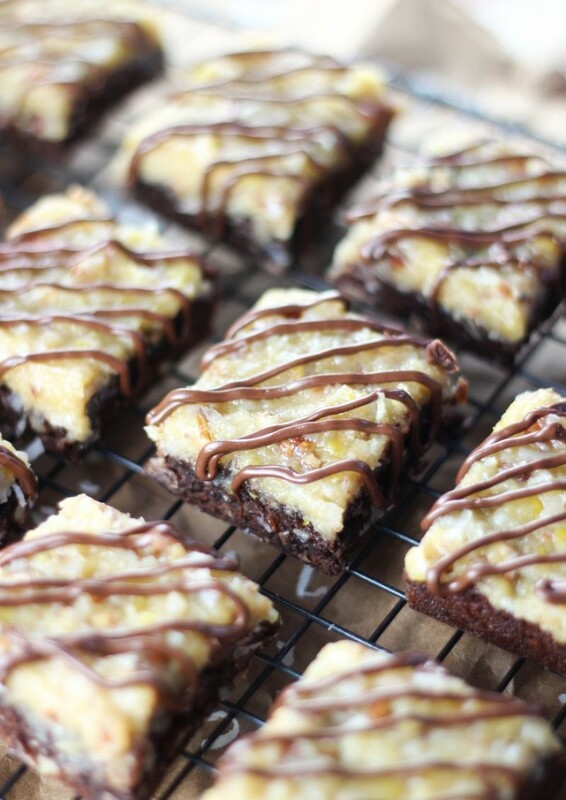 Fudgy, chocolate chunk brownies are filled with a generous helping of coconut and pecans, and topped with homemade, from-scratch coconut-pecan frosting! 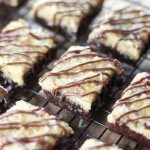 These German Chocolate Brownies are so decadent and addictive! I spent the entirety of Sunday on the couch. I never left the house. I watched hours of football in-between blogging and shopping online. And I ate my weight in German Chocolate Brownies. Soooooo, Sunday was nice. But can we talk about these gold glitter Valentino knockoffs?? I have to own them, of course. I wonder if I collected all of the items around my house that are adorned with gold glitter, and weighed the glitter, how much would it weigh? Glitter doesn’t weigh a lot though.. so how much volume would it take up? I do this thing where I work very far ahead making recipes and taking photos so that I won’t get behind. 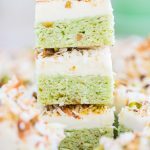 But being so far ahead makes me panic about how many recipes I have to post, that I end up actually feeling even more behind. It’s so illogical, but it’s just the way my crazy brain works. Does it even make sense? Yep, I’ll shutup. 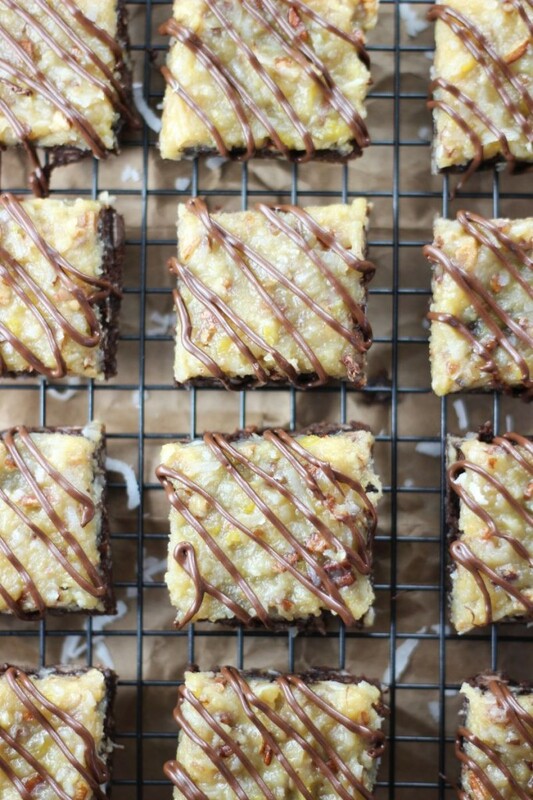 Are these German Chocolate Brownies out of the blue? Are they ‘fallish’ enough to share this time of year? Either way, we’re going to make it work. These are ridiculously fudgy brownies that are chock-full of tasty add-ins like coconut, pecans, and chocolate that gets all melty and wonderful. 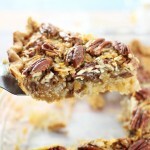 They’re topped with a sweet and gooey coconut-pecan frosting that is trademark to German Chocolate desserts. It’s a frosting that you want to eat with a spoon all by itself, or dunk any kind of dunkable object into. 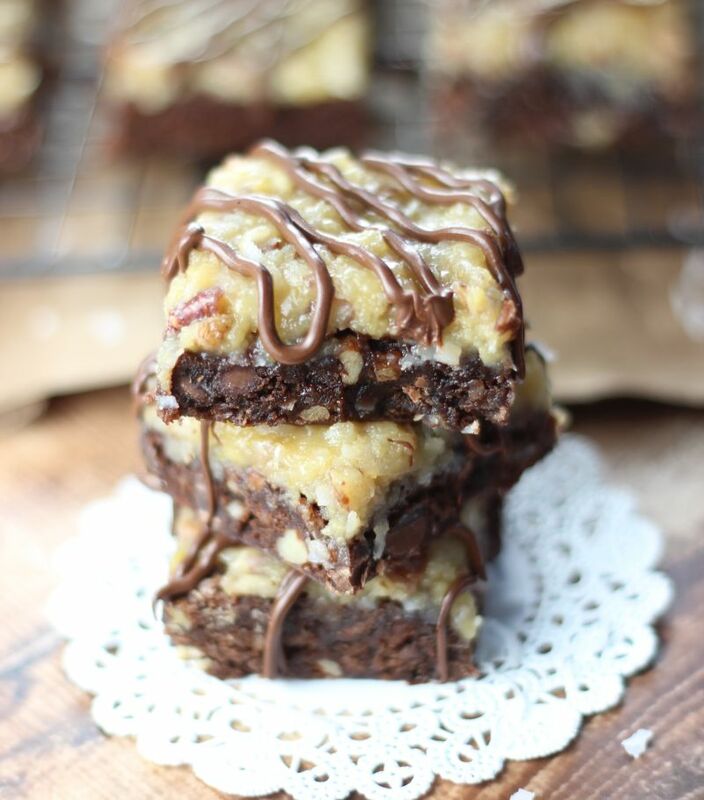 It makes these German Chocolate Brownies. Say you have a 4 -1/2 pound tub of animal crackers that someone (cough, S.O. 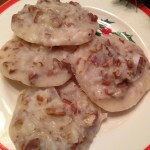 did it) bought from Sam’s Club and you think they might look pretty enticing with coconut-pecan frosting slathered all over them. Well, you’d be right. But almost anything would be delicious with this amazing frosting on top. 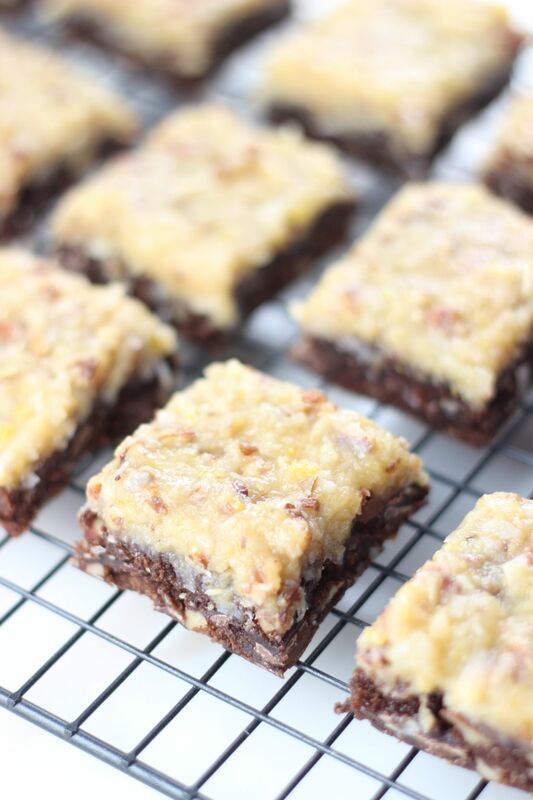 It goes particularly well with super fudgy brownies though, like these simple and awesome German Chocolate Brownies. 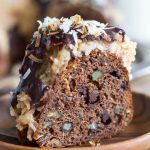 If you like German Chocolate thangs, then I suggest you take a peek at this Easy German Chocolate Bundt Cake recipe. It is quite well-received by readers, and I think you’ll dig it. 🙂 These Coconut-Pecan Chocolate Cheesecake Muffins are going to be up your alley too! Those muffins are absolutely incredible. 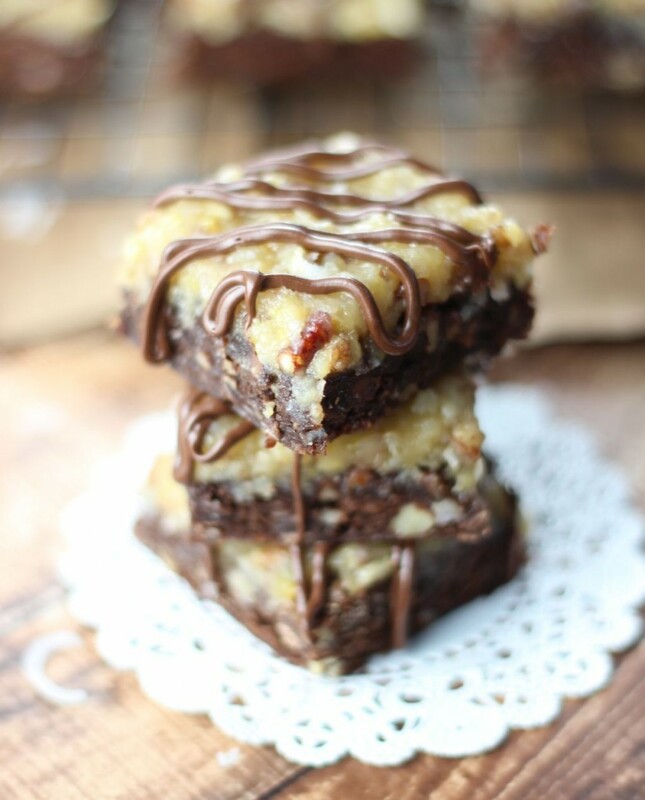 Fudgy, chocolate chunk brownies with a generous layer of coconut-pecan frosting! In a large bowl, combine brownie mix, egg, vegetable oil, water, and coconut extract. Bake at 350 for 20-24 minutes, or until a toothpick inserted near the center comes out clean. Cool on a wire rack while preparing the frosting. In a large saucepan over medium heat, whisk together sugar, butter, evaporated milk, and egg yolks. Cook, stirring consistently, until very bubbly and thickened, about 10-12 minutes. Remove from heat, and spread frosting evenly over the brownies. Cool completely. Slice and serve. Store brownies in the refrigerator. Alright, I bought the animal crackers. Update: As of 7/5/17, we still regularly buy the 5lb. bins of animal crackers at Sam’s Club. 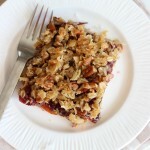 German chocolate is the best- pinning! I seriously need to try German chocolate cake or brownies or something. I never have and I’m not really sure why. It looks and sounds amazing! 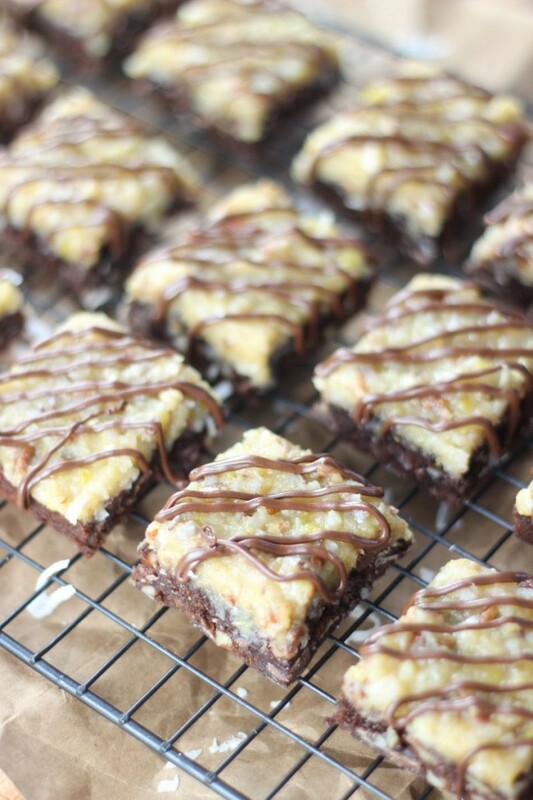 These brownies look just fantastic! 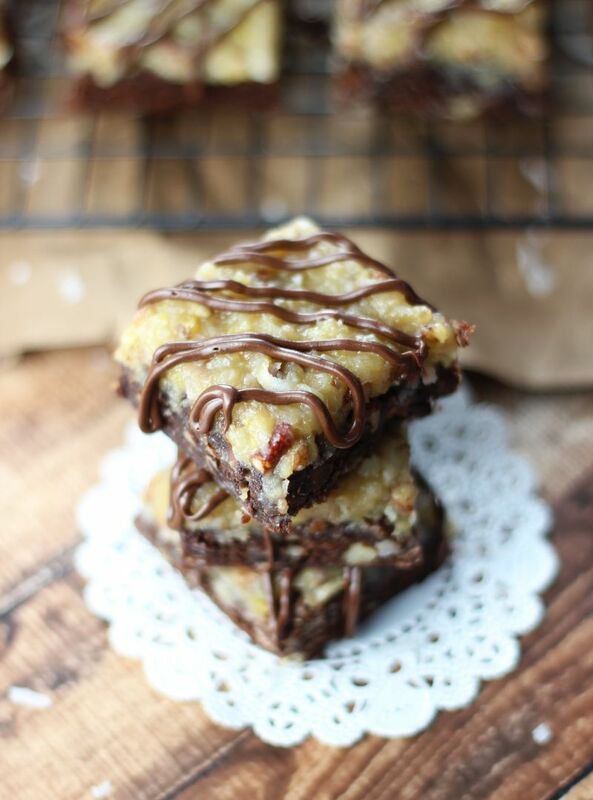 I haven’t had German Chocolate in so long…these look absolutely scrumptious! I’m going to be making these VERY SOON!! My husband loves German Chocolate, can’t wait to surprise him with these! Ooh this brings back memories! German Chocolate Cake is my Dad’s favorite and he always requested it for his birthday. These brownies look amazing! Thanks for sharing! Oh my, this looks amazing and seems simple to make. I must try! !